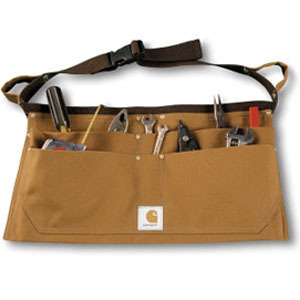 Constructed of rugged, 12-ounce, firm-hand cotton duck, our duck nail apron keeps nails and tools close at hand. for strength. To ensure a comfortable fit, the apron features an adjustable nylon belt.